When it comes to pipelines, you need a company that will strive for efficiency with each project. At Caldme, we believe we have the expertise and experience to provide said efficiency. Caldme starting in 1980, and since then we’ve expanded our excavator trenching and pipe laying services to serve businesses throughout Australia. 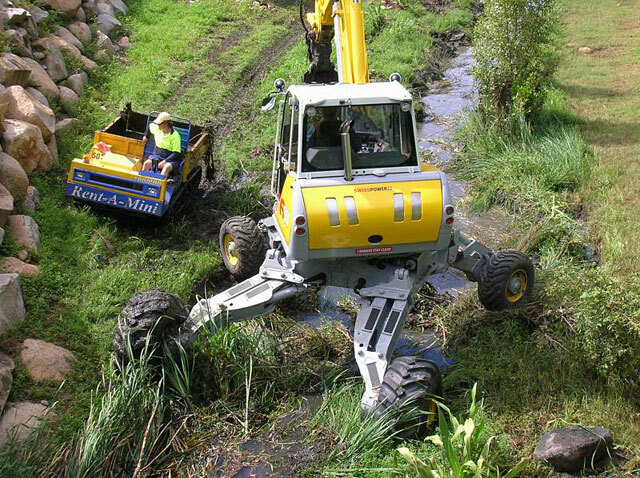 Using powerful machinery, we make creating drainage systems easier. With a firm commitment to completion and reliable on-time performance, we work with individuals whom you can depend on. Each individual in our workforce possesses at least 15 years of experience. Thanks to their high skill levels, we frequently work with organisations and government agencies throughout Sydney, Cairns, Port Macquarie, the Central Coast, Brisbane, Melbourne and Mackay. We understand that pipeline contracts don’t always take place in areas where the right skill sets are available. As a result, we’re happy to hear from you even if you’re not sure whether you’re at the right location. Our engineers are all highly qualified and a reputation for the highest quality of installation safety. Whether you require backfilling or gas pipelines, our efforts focus on minimising the impact we may have locally. The team at Caldme are heavily focused on causing minimal disruption to your project helping ensure that it’s delivered on time and on budget. Using the right technical competencies, we can focus on pipe laying for gas and other utilities while meeting your requirements. No matter how high your standards are, we want to meet them. If your pipeline contract is large, we’ll break it down into manageable chunks and mobilise our specialised workgroups throughout the process. At each stage, you can rely on strong communication so that you’re able to work towards the next phases accordingly. Caldme’s team wants to make your pipe laying efforts simpler. Excavator trenching and drainage only feels like a daunting process when you can’t access the right machinery. Alongside maintaining a diverse fleet, the team here at Caldme implements regular maintenance sessions to ensure the equipment you hire is reliable. Additionally, you can depend on our low age profiles, which means you’re benefiting from the newest high-end technologies. Are you ready to start your gas pipeline project with the right team? Then give us a call! Even if you’re not sure what you need, we’re here to provide advice.